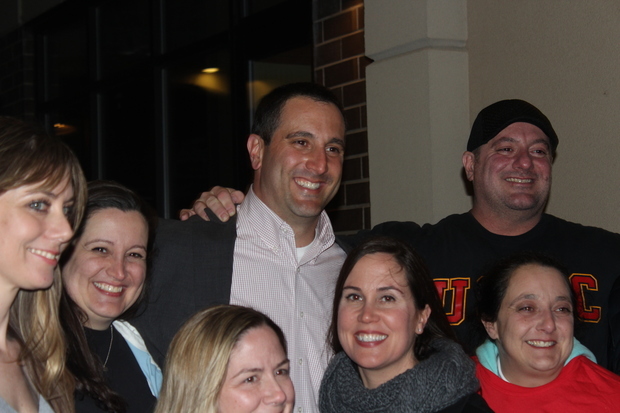 NORWOOD PARK — Firefighter Anthony Napolitano Tuesday defeated Ald. Mary O'Connor to win the 41st Ward seat on the Chicago City Council. During the six-week runoff campaign, O'Connor and Napolitano tussled over the city's looming pension crisis, the jet noise blanketing the Far Northwest Side and the responsiveness and transparency of the ward office. 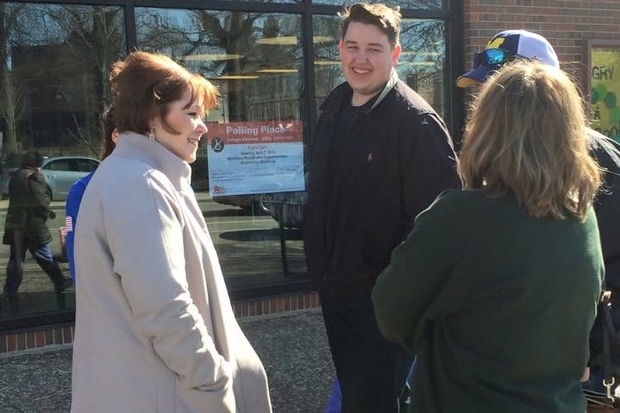 "Not for one second did I think we could knock off an incumbent alderman," Napolitano said Tuesday night after defeating O'Connor with 52 percent of the vote, according to unofficial returns. "I'm beside myself. I'm excited." Napolitano, who blasted O'Connor as "rubber stamp" for Mayor Rahm Emanuel, will be the only Republican on the Chicago City Council when he is sworn in next month. Emanuel won re-election Tuesday night. Napolitano said he would focus on public safety in the 41st Ward, which includes Edison Park, Norwood Park, O'Hare and Edgebrook, is home to a large population of city workers, police officers and firefighters. "We need more police officers," Napolitano said. Napolitano will join fellow firefighter Ald. Nicholas Sposato (36th), who will represent the 38th Ward, on the City Council. He will take a pay cut as an alderman, city records show. "It is probably a crazier job than I'm prepared for," Napolitano said at his victory party at Mo Dailey's Pub and Grille, 6070 N. Northwest Hwy. While O'Connor accused Napolitano of having no real plan to address the pension issue, Napolitano said the reforms O'Connor supported would hurt city employees like himself and his family members who paid into their pension accounts twice a month for years. Napolitano has ruled out a property tax increase to meet the state Legislature's requirement that city to make a $550 million pension payment to police and fire pension systems by 2016, which would force officials to either drastically cut services, raise taxes or borrow a significant amount of money. The 41st Ward, which includes Edison Park, Norwood Park, O'Hare and Edgebrook, is home to a large population of city workers, police officers and firefighters. Napolitano criticized O'Connor for failing to make good on her promise to hold a City Council hearing on what can be done to reduce the racket made by planes using the newest east-west runway at O'Hare Airport. "We should be heard," Napolitano said. O'Connor, who campaigned on a record of accomplishments that she said included new schools, parks, roads and sewers, declined interviews Tuesday night. O'Connor "ran a good campaign," Napolitano said. In an email to supporters, O'Connor thanked those who worked on her campaign and said she was proud of her record. "I wish we could be doing this together for the next four years, but the voters have made another choice," O'Connor said. O'Connor called Napolitano to congratulate him on his victory, and left a message on his voice mail, said Thomas Bowen, a spokesman for her campaign. O'Connor will discuss the transition with the alderman-elect next week, Bowen said. Former Ald. Brian Doherty, who resigned from the council in 2011 after representing the 41st Ward for 20 years, was one of Napolitano's precinct captains. Doherty was the lone Republican at City Hall for most of his tenure. In her message to supporters Tuesday night, O'Connor said before she took office, the 41st Ward was "an afterthought when it came to services from downtown and policy decisions." Doherty said Tuesday night he was "vindicated" by Napolitano's victory. "She has to take responsibility for her defeat," Doherty said at Napolitano's victory party. "Up here, they'll tell you when you've missed the mark."